The Fiji International is a world class golfing event boasting a million dollar prize purse and world class field, tournaments like this don’t just happen it takes a dedicated team of experts to ensure their success. One of the newest recruits to the Fiji International team is 21 year old Francine Pickering from Pacific Harbour. Pickering has joined the Fiji International team in a full time capacity administration role after her successful involvement with the tournament last year. “This time last year I was working in a cafe in Pacific Harbour. Harmony Thomas the Fiji International manager was a regular customer at the cafe and saw potential in me,” said Pickering. 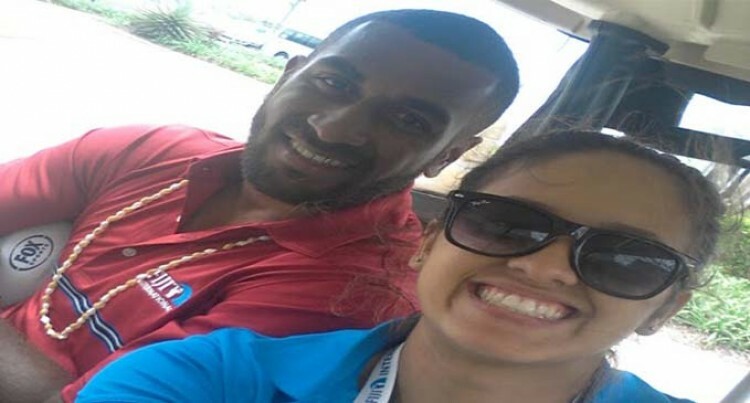 “She offered me the opportunity to work during tournament week at the Fiji International last year and that has turned into a full time role this year. Already growing in her role, developing new skills and demonstrating exceptional talent, Pickering’s responsibilities have expanded to be more than just administration; she is now also responsible for coordinating the junior golf program, delivered by Fijian PGA Professionals, in schools across the country. “I love visiting the primary schools and helping introduce golf to the students, it would be one of the most rewarding parts of my job,” added Pickering. The demands of organising an international sporting event are many and varied. The Fiji International is a global event which will attract the world’s best golfers from Europe and Australasia and as such the level of service and the quality of the tournament needs to be second to none. “Some of my biggest day-to-day challenges of working on the Fiji International are prioritising my time,” added Pickering. Having worked on the Fiji International last year Pickering already has positive memories of the tournament but can’t wait for event week this year. “Last year was so exciting. Watching Matt Kuchar win the 2015 Fiji International inspires me to make sure the 2016 Fiji International is bigger and better,” added Pickering, who can’t wait to work with the international teams. The Fiji International will be played at Natadola Bay Championship Golf Course from October 6-9.